New York : The researchers found that incorporating the engineered bacteria into the guts of mice both kept them from gaining weight and protected them against some of the negative health effects of obesity. “Some day in the future, it might be possible to treat the worst effects of obesity simply by administering these bacteria,” said lead researcher Sean Davies, Associate Professor of Pharmacology at Vanderbilt University in Nashville, Tennessee, US. 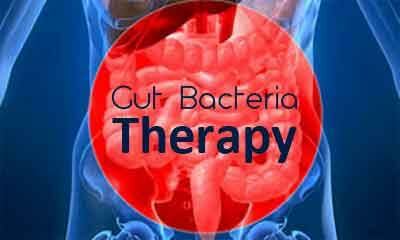 “Because of the sustainability of gut bacteria, this treatment would not need to be every day,” Davies noted. To find out whether obesity-related diseases might be treated or even prevented by altering the gut microbiota, they engineered gut bacteria that produce a small lipid that helps suppress appetite and reduce inflammation. People who are obese typically produce less of this lipid, which is made by the small intestine. “Our new studies focused on mice highly prone to develop atherosclerosis and fatty liver disease, and we showed that the engineered bacteria were beneficial not only in inhibiting obesity, but also in protecting against fatty liver disease and somewhat against atherosclerosis (hardening of the arteries),” Davies said. The researchers found that standard mice fed a high-fat diet while also receiving the engineered bacteria via drinking water gained less body weight and body fat than mice given standard drinking water or control bacteria. They also gave the engineered bacteria to mice with increased susceptibility to atherosclerosis and fatty liver disease. These mice accumulated less fat in the liver and showed reduced expression of markers of liver fibrosis, compared to mice that did not receive the treatment. The treated mice also exhibited a modest trend toward reduced atherosclerotic plaques. The findings were presented at the American Physiological Society’s Inflammation, Immunity and Cardiovascular Disease conference in Westminster, Colorado.